Constructed c1888, the building is significant as an example of a Victorian Italianate terrace and demonstrates the early development of Kent Street as a residential area associated with the port operations of Millers Point during the late nineteenth century. The terrace, now owned by Housing NSW, had previously been leased to local workers employed in the maritime industry. 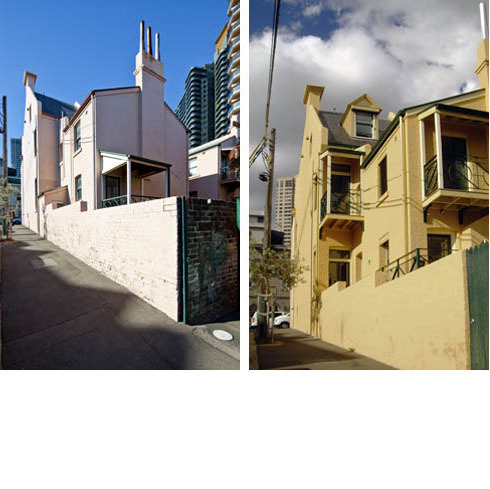 Major renovations were carried out by Housing NSW during the 1980s to adapt the building to multiple tenancies. In 2009, Design 5 – Architects was engaged to undertake conservation works, alterations and additions to accommodate contemporary living requirements.